A version of this post originally appeared as a part of our series of Summer Under the Stars recommendations in August 2010. It’s being reprinted here as part of the LAMB’s “Acting School 101” tribute to Elizabeth Taylor. Elizabeth Taylor: one of the most gorgeous, appealingly talented actresses to emerge from classic Hollywood … the epitome of class, grace, and smoldering sensuality. Well, except in this movie. 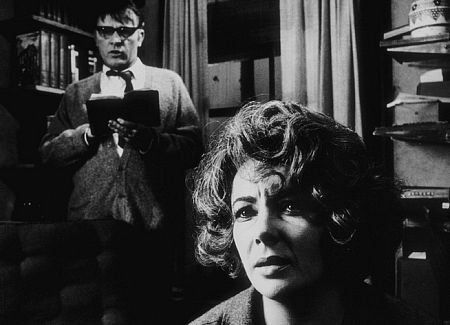 In 1966’s Who’s Afraid of Virginia Woolf?, based on the play by Edward Albee, Taylor and perennial on-screen partner (and two-time husband) Richard Burton play a viciously combative couple—he a professor of history, she the daughter of the university president. Martha is a drunkard who constantly belittles George (but lest you feel sorry for him, he dishes it right back). 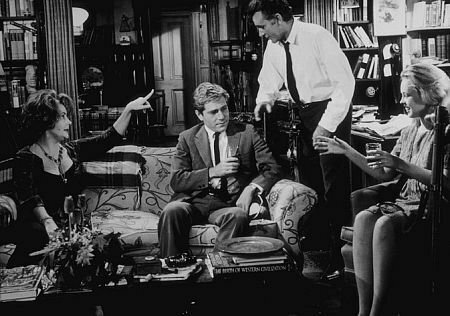 In the midst of their marital battles, Martha invites a young couple, Nick and Honey (George Segal and Sandy Dennis), to join them late one evening for cocktails. The ensuing night brings forth disturbing revelations, violent outbursts, and heartbreaking truths from all four characters. Taylor is ferocious in the role. There’s really no other word for it. She throws her entire being into this character, wrestles it down to the ground, and emerges victorious. It’s a triumph—arguably the best role of her career, and one for which she deservedly won her second Academy Award for Best Actress. And it’s a role for which virtually no one thought she was suited, given her screen persona as one of the most beautiful women in the world. 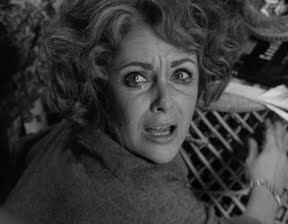 Martha, the shrewish, homely, fifty-something hausfrau, was a role originally intended for Bette Davis, but the box-office draw of Taylor’s name ultimately won her the part. 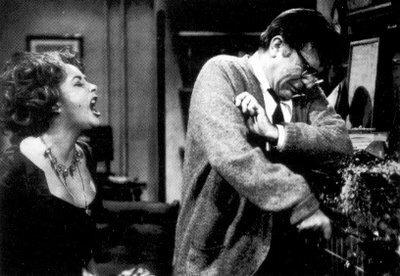 Taylor gained thirty pounds and thoroughly transformed herself, ultimately winning the respect of the original play’s author, Albee, who had championed Davis for the part. Burton and Taylor’s romance was legendary in Hollywood, not only because of their heated passion (so evident in their first pairing, the so-bad-it’s-good 1962 epic Cleopatra), but because of the contentious nature of their union. By all accounts, the two of them fought constantly over even the smallest of issues (and some of the biggest, too—as with Burton’s purported infidelity). At the time Taylor and Burton fell in love, each was married to another—Taylor to fourth husband Eddie Fisher, whom she had “stolen” from Debbie Reynolds five years prior (creating quite the scandal). After leaving their respective spouses, Burton and Taylor tied the knot in 1964, but divorced ten years later. In 1975, they gave marriage another shot, only to separate again nine months later. This was the first film in Hollywood history for which all of its credited actors—all four of them—were nominated for acting awards, and the two women won (Taylor for Best Actress, Dennis for Best Supporting Actress). If you’re feeling up for two hours of pure dysfunction, this is the movie for you. In all seriousness, it is a marvelously staged, thought-provoking film that may just have you questioning the own secrets in your life and your relationships. At the very least, the denouement of this movie will leave you feeling introspective, and maybe a little exhausted—just watching the interplay between these characters is an emotional upheaval of the highest degree. Therein lies the beauty of Albee, and the strength of Taylor’s tour de force performance. ← What is the victory of a cat on a hot tin roof?